Have you ever thought about it? 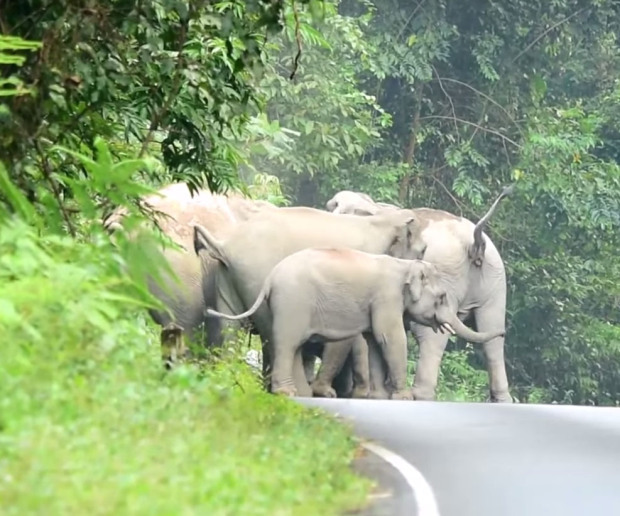 Elephants are not happy with the like motorbikes at all. 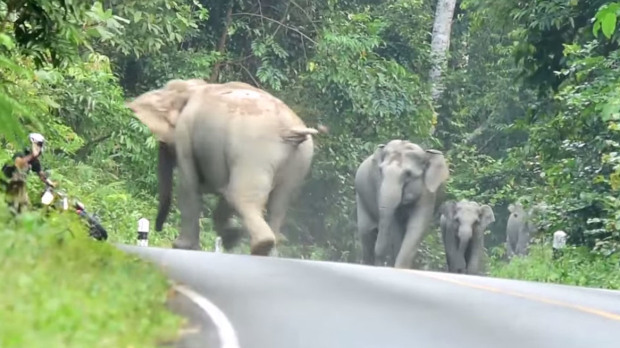 As you can see in the photo, a group of elephants are attacking one of the men who was riding on his motorbike on a road in the forest. These elephants were hanging out in a national park in Thailand, before they made a decision to charge at an unsuspecting biker. After watching this video please be careful whenever you are on the street where wild beasts are crossing. Don’t forget to share it to your family and friends if you find it is useful.